Create your own titles with this ALPHA Pack! 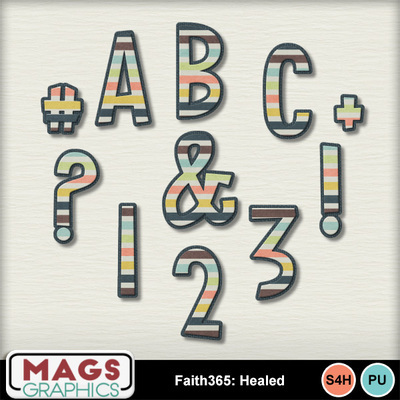 This pack matches the Faith365: HEALED Collection and contains 26 Uppercase Letters, 10 Letters, and 20 Symbols. Be sure to check out the complete Faith365 HEALED Collection as well as the other packs in this series!